A practical and cosmetic procedure, Blepharoplasty is a procedure aimed to tackle problems with eyelids to make them look or function more properly. This usually involves the removal of any excess fat and skin, and involves the reinforcing or strengthening of the tendons and muscles surrounding the eyes. When done right, it can shave off a few years around the eyes and can result in an overall younger looking face. Cosmetic reasons why blepharoplasty surgery is required can be varied, but the most common revolves around the restoration of a more youthful face and look. The eyes, after all, can tell a lot about the person’s age. Lower blepharoplasty is done to reduce the puffiness of lower eyelid bags, or “eyebags”, and remove any wrinkled skin on the lower portion of the eyes, shaving off years in a single procedure. On the other hand, upper blepharoplasty is done for more practical purposes. For some patients, there is an excess amount of upper eyelid skin and fat that droops over the eyelashes and impedes the patient’s vision. When this happens, it is mostly the peripheral vision that’s affected. However, this condition can also block the upper and outer portions of the patient’s vision, affecting the patient’s ability to see, making it difficult to perform tasks that have a high demand for a person’s ability to see. With upper blepharoplasty, the fat and skin can be removed or peeled back, greatly improving a patient’s ability to see. Another procedure to take note of is called double eyelid surgery—more commonly known as Asian blepharoplasty due to the fact that this procedure is sought mostly by Asians. This procedure involves the creation of a crease in the upper eyelid that is present in most races, but missing in around half of all east Asians. This procedure gives the eyelid a “supratarsal fold”, which is why this is the most popular form of cosmetic plastic surgery for most Asian customers. Blepharoplasty surgery usually takes round 1-3 hours to finish depending on the doctor’s skill level, and the amount of work needed by the patient. This will depend greatly on the patient’s age and physiology. While it only takes a few weeks for the bruising and swelling to die down, it will take months before the final result can be seen fully, usually made more evident when looking at before and after photos. 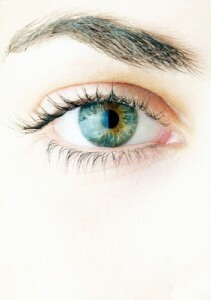 Blepharoplasty costs can vary depending on the type of procedure, and territories. Blepharoplasty on average costs around $4,000, but can go as low as $2,000 and as high as $7,000, depending on the doctor’s credentials, experience. The rest is reserved for the anesthesia used, and the equipment needed.